1. Academic—a consciousness-based secondary school or college, teaching a standard curriculum in organic agriculture, entrepreneurship and management. 2. Business Incubator—this is an environment within the school or college where the students to plan and develop their own businesses with guidance from faculty. 3. Mini-Industrial Area—this is a part of the physical site for the academic institution, where graduates of the academic programs may implement their enterprise development plans. An important part of each project can be the development of agri-business enterprises by the project itself to help with start-up expenses and contribute to the financial self-sufficiency of the project as it matures. Togo: École Togolaise de l’Agriculture et du Développement Durable. On 100 Ha to be donated by local citizens, the plan is to create a secondary school and a tertiary institution, together with an industrial park. The secondary school would teach the standard academic curriculum but with an option for vocational organic agriculture and elementary business skills. The college/university would specialize in sustainable agriculture, business, entrepreneurship and sustainable living skills. It is intended that the college will eventually offer associate degrees accredited by Maharishi University of Management, in USA. This particular implementation involves the establishment of multiple agribusiness enterprises, as an initial activity, for support of the academic institution. The agribusiness enterprises are currently under development, including a soap factory, a dairy operation and a jam production facility. The soap factory is now underway. It is based on local natural soap recipes, that are common to the area, especially based on Shea butter extractions. The Shea nut tree is local to the area. The soap business is a venture with local ladies who have a long multi-generational history of making soap from local materials. The soap is being labeled and organized for both the domestic and international markets in the USA and EU. The dairy enterprise has started, with the importation of a Jersey dairy bull, to support the genetic improvement of local female milk cows. The services of the bull are also being sold to the local cattle farmers. The project in Uganda is in the beginning development phase. It will have a similar design. A Uganda NGO is responsible for this implementation of the Model. This application involves the development of an academic institution that will teach sustainable organic agriculture and agri-business, at the vocational level. About 15 Ha of land will be donated near Kampala. 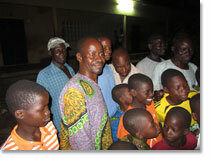 The initiative is a joint effort between the land owner and the NGO. The planned enterprise, which will by design support the academic institution, is a dairy operation. 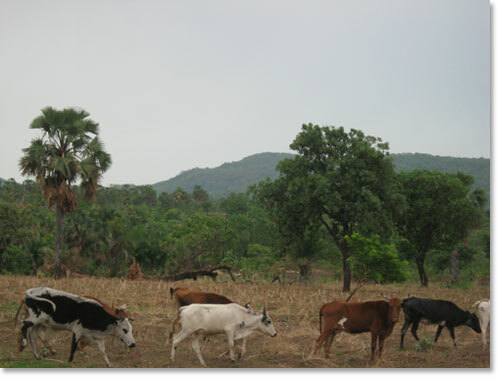 The lands are suitable for animal agriculture. This initiative is connected to Maharishi University of Management, USA for academic and general strategic support. This application of the Model is in an early stage of development. This application of the Model is being executed by a local NGO, which organization is dedicated to training local young women and young men with skills that allow them to effectively pursue employment opportunity in their country. This effort was started in 2012. This initiative involves a public-private approach. This NGO has received from the government of Rwanda an estimated 200 hectares of land, with underutilized improvements that have historically been used as an academic institution. 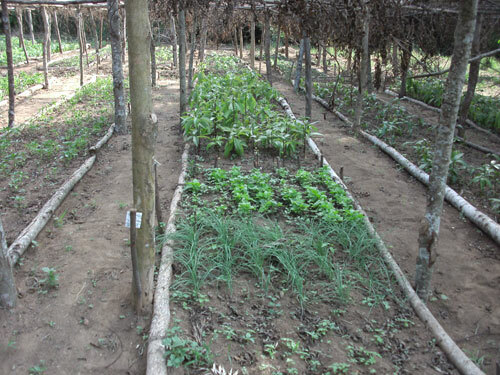 The local NGO has launched agriculture production activities on the land, with the plan to support the renovation and activation of the academic adapted structures located on the lands. This initiative is connected to Maharishi University of Management, USA for academic support and general strategic guidance. This initiative is in an early stage of development.